Cats can be odd — they sleep for up to 20 hours a day and get scared by cucumbers, but they also get very enthusiastic and are great playmates. 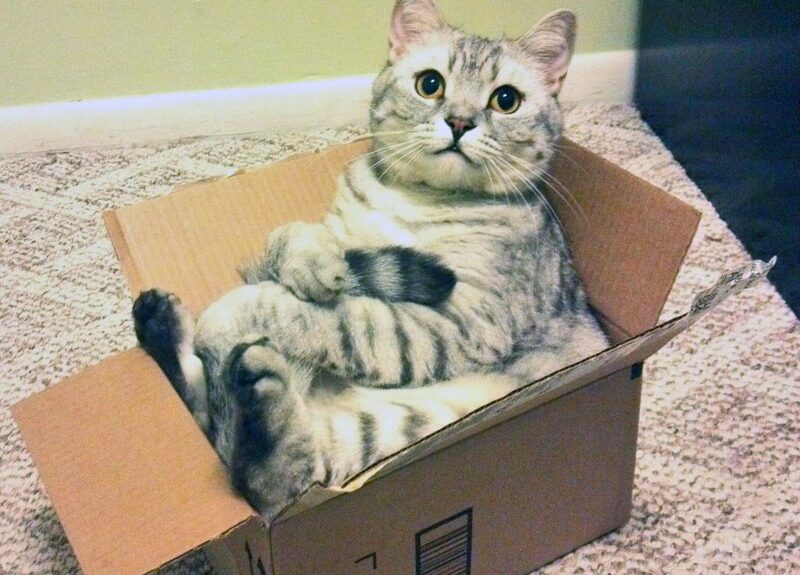 Apart from catnip, there’s nothing a cat loves more than boxes. Any box will do, actually: big, small, tall, short… the cat will take it, no questions asked. So, what’s up with that? I know you came here looking for a scientific explanation to this age-long question, but I’m sorry to tell you that the jury is still out. However, that doesn’t mean that we’re clueless: animal behaviorists and psychologists have some pretty interesting and sensible explanations they’ve shared with us. For one, if we’ve learned anything from the myriad of studies on cats is this: they enjoy closed spaces. They’re practically the opposite of claustrophobic, and derive comfort and well-being from being as crammed in as possible. This is especially true for stressed cats, as recounted by Claudia Vinke of Utrecht University in the Netherlands. Vinke did a study in which shelter cats were studied for stress. The team provided hiding boxes for some of the cats that had recently arrived at the shelter while depriving others. The cats that had the boxes at their disposal had far less stress hormones in their blood. Later on, the boxed cats were more familiar with their environment, less panicked and more inclined to interact with humans. In this case, it seems boxes are a means for the felines to hide in to evade a stressful situation. The same can be said about wild cats as well, only they tend to choose trees or caves to retreat into, while house cats just have shoe boxes. The sample size of just 19 cats was small, but the paper concludes, “The hiding box appears to be an important enrichment for the cat to cope effectively with stressors in a new shelter environment the first weeks after arrival.” They hope to extend the work to longer-term studies and to consider cats housed collectively. Shelters can be stressful environments for any animal, yet cats love boxes even when there’s nothing unfamiliar going on — just like in your safe and boring home. In this case, we can only say that cats prefer to linger in boxes or other small enclosures at home because they feel the safest and most comfortable this way, especially when dozing off. It’s also worth noting that cats are poor at resolving conflicts. 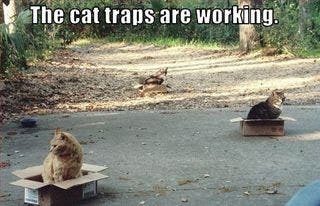 If they feel they want to “disappear” for whatever reason (don’t let this hurt your feelings), a cat will run to a box. 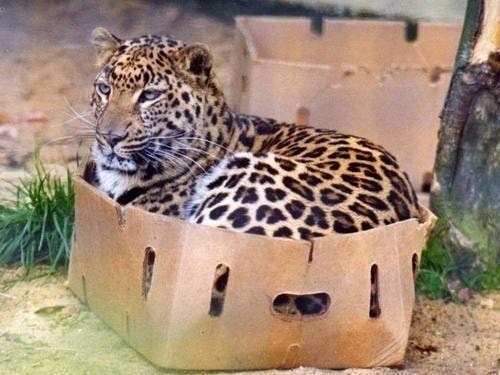 Cats might love boxes, as well as any other small enclosures, because they feel warmer inside. According to the National Research Council, the thermoneutral zone for a domestic cat is 86 to 97 degrees Fahrenheit. This is about 20 degrees higher than the comfort zone of humans. Whatever’s their reason for cardboard adoration, if you care for a feline help it out by always keeping an empty box around.